We are on the doorstep of a futuristic tomorrow. Technology and innovation are being woven into the fibers of our everyday lives to enrich and enhance daily activity. We never imagined that the futuristic style of living would reach us in our lifetime, but it is here! Many jokingly admit we are starting to live like the “Jetsons” with our lives being run autonomously. 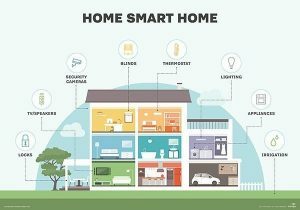 Smart homes are trending worldwide providing us with ease of living while promoting a sense of security within the home environment. 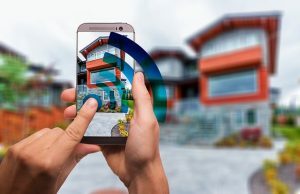 Existing homeowners are custom-installing devices that are tailored to their needs whereas home builders are designing super-smart-homes from the ground up. All are within the control of the smartphone. You can control lighting in your home from remote areas worldwide through your smartphone. This technology provides the ability to turn lights on and off when you are away not only for security reasons but for pets that are in the home. 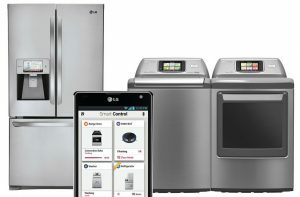 There are smart appliances available to install in your home that provides a host of tasks within the kitchen area. Oven: you can store a prepared meal in the oven at a desired cold temperature and program the oven to cook the meal at the desired time. When you arrive home, you have a warm meal ready in the oven! Refrigerator: your refrigerator keeps inventory on what you have inside of it, and as you use things, it maintains a food inventory so when you run low or run out of something, it can order from the local grocery store and have it delivered. You can access your favorite TV programs from the refrigerator computer panel or skype or facetime someone. Washer and Dryer: program these appliances to start and stop at desired times while you are out of the house. Coffee Maker: program to make a fresh pot of coffee at any time of the day. While you are out of the house or away, you can control your central air heating and air conditioning. If you are on vacation and have pets at home, you have the assurance your pet is secure with the appropriate temperature. 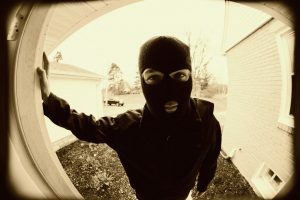 A good security monitoring system provides you with ease of mind knowing your home is protected against home invasion or when you have sitters for your children or pets. You can check in with your system at anytime anywhere to view both interior and exterior areas via your smartphone. Doors can be locked or unlocked from your smartphone. If you have pet sitters, it is excellent to use to let them in each time or give them your code to allow keyless entry. This concept replaces leaving a key under the doormat! For tech gurus and entertainment enthusiasts, this system provides the ability to fine-tune your entertainment experience. It also gives you the ability to turn your TV on and off anytime anywhere for added security and to keep your pets from feeling lonely. When you are away from home, this system will alert the Fire Department of smoke or fire. This provides ease of mind if you have pets. Taking innovation a step further, furniture is now being designed with concepts that incorporate technology as well as design creativity. Sofas and Chairs: are electric and have USB ports to connect your phone or laptop. Beds: have the technology to sense your needs and record your sleep pattern. It provides you with support customized to your body. Throughout the night, as your body moves, the smart bed will adjust to pressure points while supporting the back and neck. 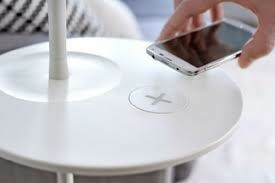 Side Tables: will charge your smartphone and smartwatch by just laying them down on top of the table. USB and charging ports are also available in the tables. With the advancement of technology, our home life as we know it will become effortless. In time, we may even see the mundane tasks of daily life give way to artificial intelligence. Sidewalk Labs is setting out to tackle a new futuristic neighborhood in Toronto, Canada. Being the first of its kind in the United States, Quayside will be the prototype of a small-scale smart city. Sidewalk Labs is a subsidiary of Alphabet, Inc. which is a multinational conglomerate located in California. Google and various other companies were created under Alphabet, Inc.
Sidewalk Labs can best be described as a company that has the vision and imagination to create unique urban innovation. They not only dream it, but they build it! Quayside is a twelve-acre plot that is expected to provide enough housing for five thousand residents with the opportunity to expand for up to tens of thousands of residents. The parcel of land that Quayside occupies was once a site that many Torontonians describe as blighted. The first phase of planning will be at the cost of fifty million. 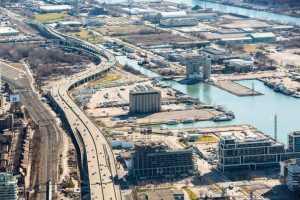 Sidewalk Labs and Waterfront Toronto (a development agency in Toronto) are working together to plan and deploy various technologies in Quayside. If this prototype is successful, other cities will emulate the technology because of the sustainability and quality of living. Sidewalk Labs is excited with bringing their vision to fruition. This will be a place where shuttle buses will be driverless, robots will deliver the mail, garbage will be removed through underground tunnels, and buildings will be modular to allow expansion as the smart city grows. Sidewalk Labs will design narrow lanes for travel to provide more room for pedestrian traffic. 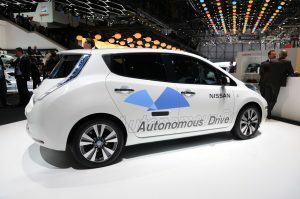 Having driverless cars and buses provides the precise automated navigation that is key to having traffic laws obeyed continually. Human drivers tend to break the traffic laws which causes vehicle accidents and deaths. Automated travel reduces that significantly. A monitoring system will be in place that not only senses human activity but monitors everything as a whole. This system provides information on pedestrians crossing streets where perhaps a driverless bus is traveling. The system informs the bus and tells the lights and signals to yield for the pedestrian. Sidewalk Labs has approached this whole urban innovation concept as being similar to a smartphone. Their company will be the platform which will provide the software required for the “smart city” to operate efficiently. A significant portion of the work on Quayside will involve third-party software developers to contribute to the project. Once such third party would be the driverless vehicle maker, Waymo. Waymo is an independent self-driving company that develops the technology to provide driverless vehicles. Not everyone is open to what this project has to offer. Technology can be intimidating, and skeptics have to see it to believe it. Sidewalk Labs and Waterfront Toronto held a town hall meeting last year where dialogue was exchanged between residents, project managers, and city officials. The biggest hurdle for Sidewalk Labs to tackle is skepticism of the intensive data-gathering. Residents are concerned about how their data will be shared. Many stand behind the belief that there needs to be a balance between human intelligence and artificial intelligence. Relying on technology to transport you safely or to safely guide you to cross a street is something new for our culture to accept. Seeing innovation in action helps us to be more open and forward-thinking as technology advances to better our lives. As you know we are a tech blog and we love to check out and blog about the latest new tech across multiple industries. For one of our first installments of cool new tech that we have happened upon we want to blog about Brain Pipes. 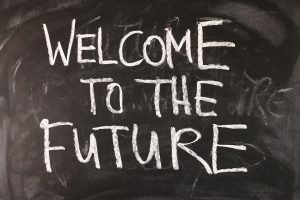 Brain Pipes is a revolutionary technology for the plumbing industry that will change everything and how the plumbing service and new construction industry is approached for the future. Brain pipes is a breakthrough technology for the plumbing industry that has made its own place in the internet of things. This technology has created a system that changes the way plumbing problems will be addressed forever. Brain pipes technology will locate where a pipe is leaking, send a text message to the homeowner, and point out exactly where the leak is. 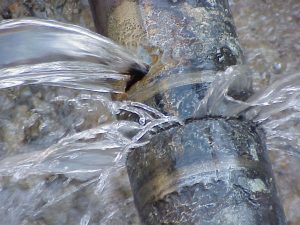 The technology shuts off the main water supply to the property preventing secondary and tertiary damage like water damage or mold damage if it does not get addressed. Brain pipes has a monitoring system that can detect the water pressure for every fixture and faucet that dispenses water. 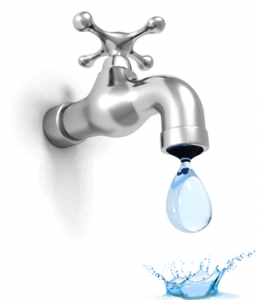 If the water pressure drops with sensing a need for water the system has an alarm that goes off. The accompanying app then notifies that person of what is occurring with the plumbing and the shut-off valve is initiated to prevent more damage from happening. Going green is not just a fad anymore it is a necessity with the growing global population and the limitation of resources on the earth, especially the resource of fresh water. 97% of the surface of the earth is water, but only 1% of that water is fresh drinkable water with the rest of it being salt water. This means that our water conservation efforts must be efficient when thinking about fresh water as a limited resource and we have the ability to do our part when thinking about being earth friendly. Along with other tips for water conservation such as low flow shower heads, turning the faucet off when brushing our teeth, high-efficiency washing machines, and many more things we can do, brain pipes generates a monthly report on water consumption so that you can determine where your water is being most wasted. Not only is brain pipes an amazing technology for preventing plumbing mishaps that could result in further damage to a property or home, but it is also an amazing tool to be eco-friendly to do our part in caring for the earth. Brain pipes will save money on the plumbing, the conservation of water, and preventing secondary damages as a result of water intrusion. This is a great technology to institute in new construction properties, especially condo buildings, assisted living facilities, and apartment buildings as well. Anyone can see that this technology is one of the most revolutionary ideas to come out in a long time. Thanks for reading this blog and learning about this new tech for the plumbing industry. Please be on the lookout for more blogs to come your way about cool tech created in the 21st century. We’d like to be the disseminators of relevant tech news and media on the web. yes, there are a plethora of tech blogs and media outlets that are doing fantastic, but creating content and a sense of community matter to us here at 21st circuitry. 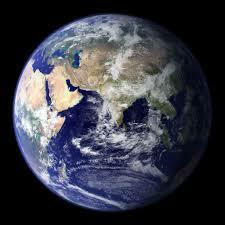 We see the world globalizing and merging into a communal forum around various topics around the web. The internet connected us in a way that we haven’t been connected before. It’s also separating a lot of groups too, but with access to information and the growing dialogue around hot-button issues, I am more than sure 21st circuitry can be a beacon of hope and an example of uniting the world around tech.